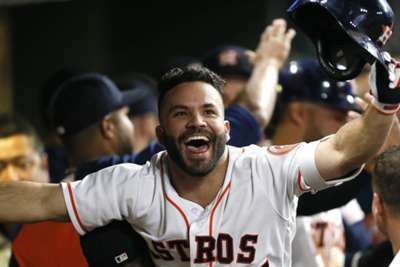 The New York Yankees, Cleveland Indians and St Louis Cardinals posted walk-off wins while the Houston Astros delivered one of the craziest come-from-behind victories of the MLB season. In New York, the Yankees locked up a playoff spot with a 3-2 win over the Baltimore Orioles on an Aaron Hicks walk-off double in the 11th inning. In St Louis, Tyler O'Neill did not just deliver a walk-off home run in a 5-4 win over the San Francisco Giants, but he also got the Cardinals one game closer to the top wildcard spot in the National League as the Milwaukee Brewers fell to the Pittsburgh Pirates 3-0. Michael Brantley sent Indians fans home happy with an 11th-inning RBI single giving Cleveland a 5-4 win over the Red Sox and also preventing Boston from locking up home field in the American League (AL) playoffs. But the most dramatic late-inning surge came in Houston. 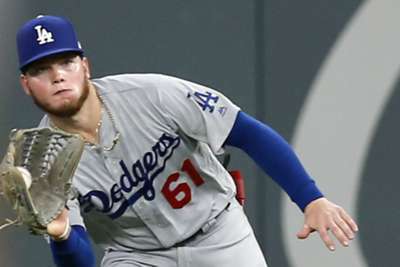 The Astros held a 1-0 lead going into the eighth inning, but Hector Rondon blew the save, Joe Smith gave up a three-run homer to Mike Trout and Houston's night was over as they trailed the Los Angeles Angels 5-1 going into the bottom of the eighth. Except that it was not over because Houston scored nine runs in the bottom of the eighth and took a 10-5 win. The inning took more than an hour to play and Houston made Cleveland's win even better as they are still mathematically alive for home field in the AL. Braves starter Mike Foltynewicz took a no-hitter into the sixth inning of a 5-3 win over the Phillies which gave Atlanta their first division title since 2013. The righty finished the game with 7.1 innings of two-hit, two-run ball with five strikeouts. Diamondbacks starter Patrick Corbin gave up five hits, four walks and four runs in three innings of work in a 5-1 loss to the Rockies. Colorado moved to within 3.5 games of the first wildcard spot in the NL. They are 1.5 games back of the Cardinals for the second spot. Javy Baez somehow made a stop in the hole and then inexplicably nailed the runner. This is the reason he could win the MVP with an OBP in the .330 range. Only one thing can be decided in the playoffs on Sunday, the Red Sox can lock up home field throughout the AL postseason with a win over the Indians. However, Cleveland have one of the best lineups in baseball and Boston do not even have a starter listed yet.